Lincoln-based digital radiography firm offers affordable and effective solutions for imaging needs of a range of customers. Lincoln NE, USA - January 28, 2019 /MarketersMedia/ — C&C Imaging and Jeff Coseo are pleased to announce the launch of their digital x-ray company. C&C offers the only solution which will be needed for digital x-rays. The client base ranges from veterinarians to urgent care to medical hospitals to chiropractic centers. The product line supports every client in need of a digital x-ray solution. C&C Imaging has been formed to provide every doctor with the opportunity to maintain hospital level quality Digital X-Ray at not only a reasonable but an affordable cost. The 17-inch by 17-inch digital radiography panel is a high performance, cassette sized flat panel detector. It comes in either a wired or wireless option. The detector acquires outstanding images with high DQE and high resolution. Equipped with a highly sensitive AED function, the DR panel can be easily connected to and synchronized with any kind of generators. The panel is made from carbon and alloy with a 16 bit A/D conversion and 3.6 lines per millimeter. 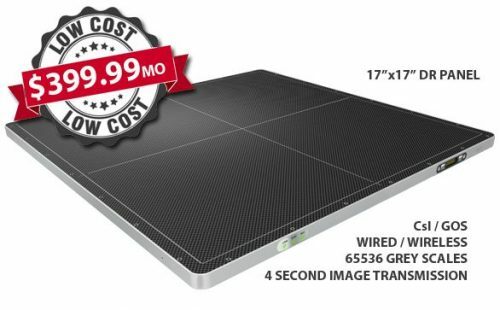 The 14" x 17" Flat panel DR offers a smaller, yet high-performance digital x ray solution. This is a high performance, cassette sized flat panel. A spokesperson for the firm explains, “Conventional radiology has been used as a receiver for a cassette system comprising a scintillator screen and a radiological film. Under the effect of the X rays, the screen emits a light radiation which insulates a film. It is then necessary to develop this film to obtain the image to be interpreted. The evolution of conventional radiology consists in digitizing the images produced by replacing this screen-film receiver with a receiver that enables this option." Digital X Ray consists of different solutions. These include non-cassette Computed Radiography Systems (CR), which uses Stimulable Photo Stimulator Scintillation Screens, also known as Memory Light Radio Scanners (ERLMs) or, improperly Phosphores Cassettes with screen readers that provide the digital image. Alternatively, Digital Radiography Systems (DR), direct or indirect, depending on whether or not a scintillator is used in the process of transforming X-radiation into an electrical signal by planar or camera sensors CCD (Charge-coupled devices).